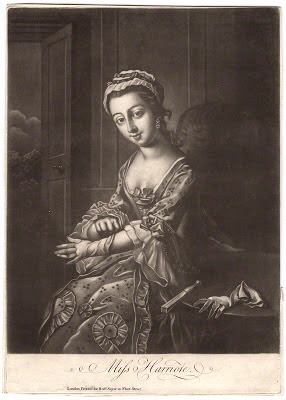 Sew 18th Century: Gloves please! 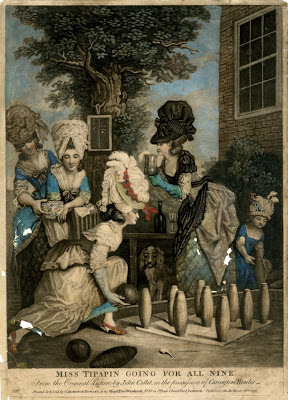 So many reenactresses wear fingerless mitts. Like pretty much everyone I know. Living in New England, why are we freezing our fingertips off? Can't we wear gloves? 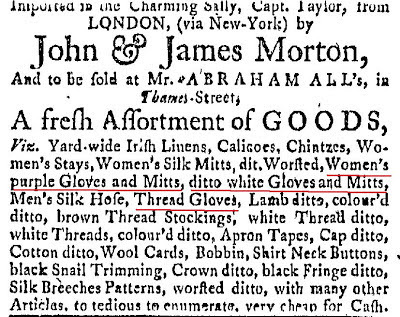 Richardson & Goldthwait advertised, "men's and women's lamb gloves and mitts." 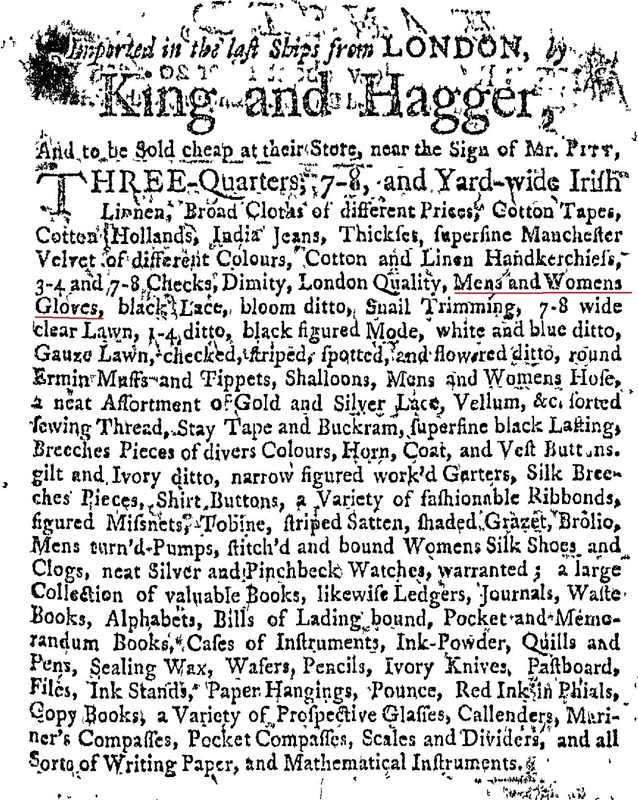 King and Hagger promote "Mens and Womens Gloves" in the Newport Mercury on May 22, 1759. 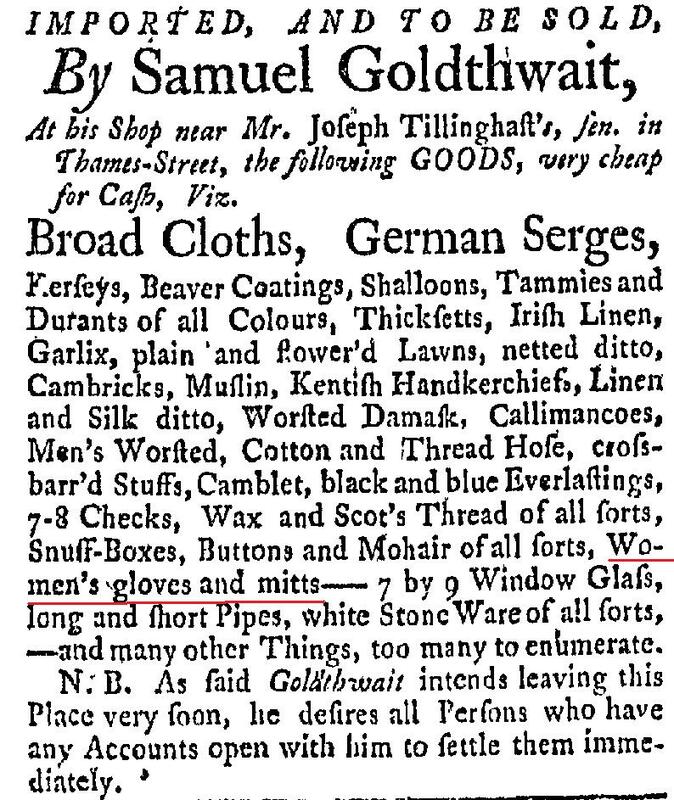 Mr. Goldthwait promoted his "women's gloves and mitts" in this July 11, 1763 ad in the Newport Mercury. One glove on the chair and she's putting the other on. Looks relatively comparable to a modern glove. Note: the seam around her left thumb. Gloves and a muff--smart woman! Green gloves! No evidence of buttons on the inside of her wrist. The woman in the middle ground wearing the stellar bonnet also has green gloves. 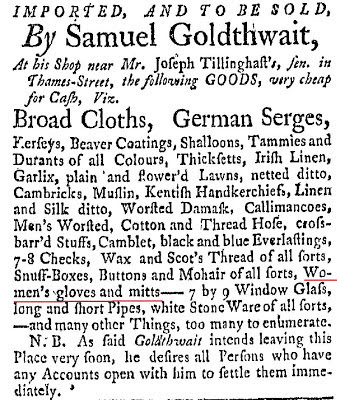 I have not yet had a chance to explore museum databases to see if there are any extant gloves, but it seems safe to conclude that we are under representing gloves in our living history work. I hope to make / buy a pair this year once the furlow / sequestration situation is resolved. I guess making fingered gloves is a far harder call than mittens, so reenactors favour the latter? I agree, it must be tricky to make gloves...but I'd like to give it a try! 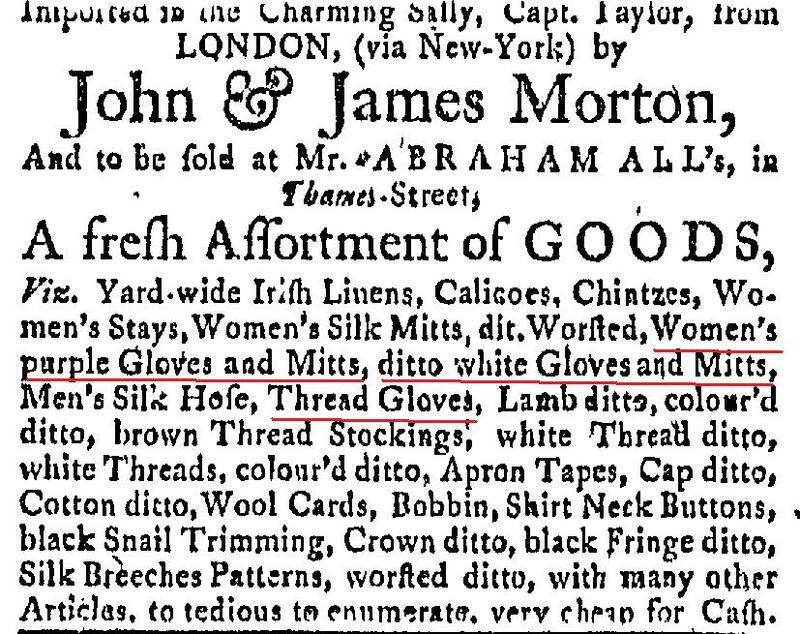 I know this website that has many 18th century gloves. 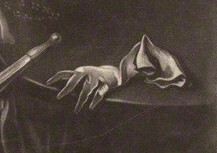 I think that gloves are under represented in living history too. I'm so happy that others are taking an intrest in them too. I've done one pair of riding gloves and one later (19th century) pair. Next I'm planning on making longer and dressier 18th century ones if I just could find the time. Thanks for sharing the link, what a great resource! I look forward to following the progress on your dressy 18th century gloves. I was thinking of you when I read about the furloughs; fingers crossed, and may they be gloved soon. OK! I checked out these: http://rihs.minisisinc.com/rihs/scripts/mwimain.dll/144/RIHS_M3/LINK/SISN+843?SESSIONSEARCH and they are very long, though perhaps a bit stretched, silk net. 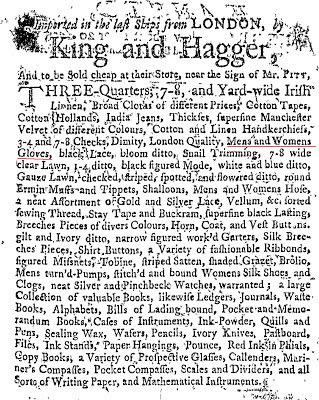 Not for warmth, but for fashion, and I might put them after 1800, when short sleeves were stylish. Sorry...but there must be extant examples somewhere! 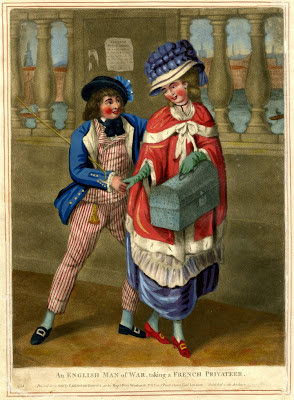 I have a feeling that the gloves you found are constructed similarly to 18th century gloves and that it wouldn't be too hard to make a pair from them and by looking at the prints. It would be a fun project! Purple and Green gloves...how fabulous! Yes they would be so much fun to wear! It looks like a short glove, how interesting! I do love a nice pair of gloves--from any era! I can see why the fingerless mitts are favored in some circumstances--such as living history events where the participants are demonstrating handwork like sewing or spinning. But I like keeping my fingers toasty! I lucked out and found a pair of white leather gloves that actually fit me at an antique store--not 100% accurate, but better than most repros, and they come out to play from time to time with my short cloak. 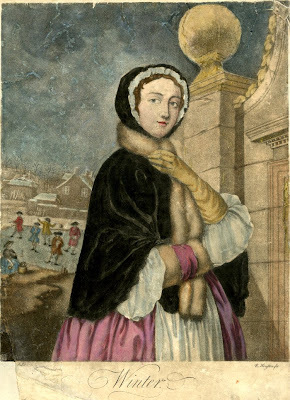 If one was following fashions of the time, they would wear mitts. They were designed to keep the forearm warm (as we were very careful to keep our elbows covered, but then left rather bare the rest of the arm) as well as much of the hand. Having the fingers exposed does/can make it much easier to get work done, but if your fingers are frozen how well are going to do that needlework? If you were exposed to the elements (ie: outdoors) a lady would usually also have a muff. Muffs are amazing because you can hide modern hand warmers in them (for those of us exposed to elements often) but I also find my hands stay warmer in muffs then they do gloves. 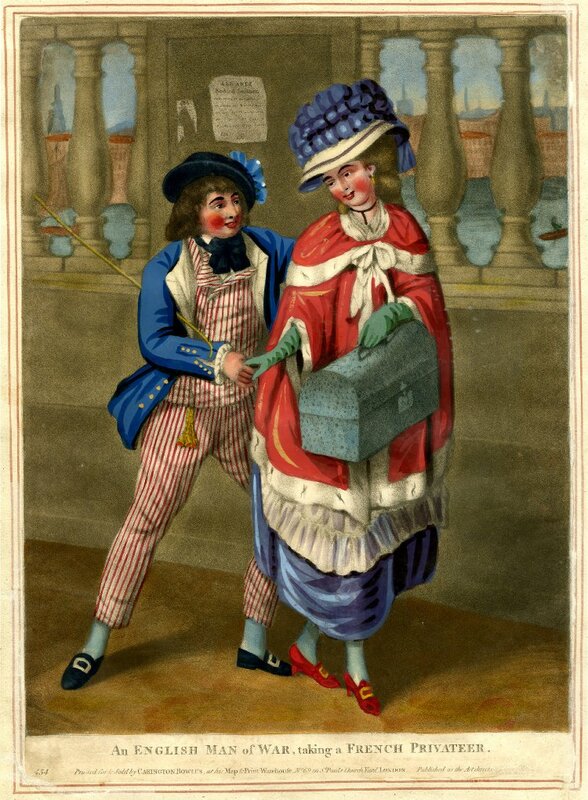 I do believe some re-enactors may be wearing mitts because they are easier to make, but I think another reason was just how common they were in the 18th century. Everyone had a pair of mitts, not everyone had a pair of gloves. All that said, it is awesome to see some primary source examples of gloves!